Well, I’m a little concerned about how that title is going to play out on the internet, but what’s life without a little risk? Here’s all I want to say this week: Please pick up dog poop. Any dog poop, anywhere. Not just your own dog’s, any dog’s. No matter where you find it. Why, you say? Why should we pick up poop from someone’s else’s dog? From someone far less responsible than we are? Simple: Because we want to keep walking our dogs in neighborhoods, in parks and on trails. Because the more poop that is sitting out there for all to see, the more someone is going to object, and start calling for dogs to be banned from our favorite walking places. And yes, you can make it fun. And no, I have not lost my mind. I ran a contest for a few years at a local dog park during its “spring clean up”. For those of you who don’t live where it snows, spring includes more than bird song and daffodils. It also include a horrific reveal of dog poop that wasn’t cleaned up over winter. There are many reasons for that–a good one is that poop melts down into the snow fast, and disappears like a rock dropped into a pond. Sometimes you need a periscope more than a scooper. We hefted our full bags of poop to the weigh stations, proud of our accomplishments, and cheerfully celebrated the winners as if they’d won the Nationals. The park has never been so clean. So do what you can to change “Ugh!” to “Look! I found some more!” Just don’t say it out loud in case someone hears you and begins to wonder . . .
What about you? What’s your experience with the inevitable result of our relationship with dogs? [Added 2-22-2019] An friend and environmental advocate made the excellent comment that plastic poop bags add to the horrific amount of plastic polluted our land, water and causing untold damage. Argh, she is right. Here’s an article from HuffPost about alternatives, I’m going to check them out. Thanks Debby G! MEANWHILE, back on the farm: It was somewhere between minus 25 and 28 Fahrenheit last week (about -32 C). Hard to know cuz our thermometer only goes to -20 F, but that’s a good guess based on our neighbors. We hunkered in ourselves, and brought the “barn cats” inside. Polly has never been in the house (although has been invited), and she predictably was a bit stunned at first. I put her in a quiet room and let her tell me where she wanted to be. I found her 30 minutes later on the floor between the chest freezer and a counter, so brought in the chair they sleep on in the garage and she settled in there. Nellie, who has been spending more and more time in the house (just ask my cat-allergic lungs) thinks that it’s about damn time we let her in the house more often. And today the temperature is in the mid 40’s and it’s raining. A 70 degree flip. It feels like we are living in a snow globe owned by a drunken sailor. You? What ridiculous weather are you having? It’s sunny and warm here, a big change from the deep freeze of last week. I’m loving the dog walks although mud has kept us off a lot of paths. Such a nice break! You don’t know how much I needed your “poop post”. There are no excuses here, our snow has been nowhere near that deep. My attitude has been that extreme irritation as I find more dog poop on my neighborhood walks than I can pick up on one trip. The ones right next to a pick up station full of bags and on the SIDEWALK make me crazy! You’re right though, my attitude is only hurting myself and ruining walks on my end of the leash even if I don’t show it. Thank you for a much needed reminder that, although rude walkers may not be within my control, my feeling about that is. So glad my timing was good! 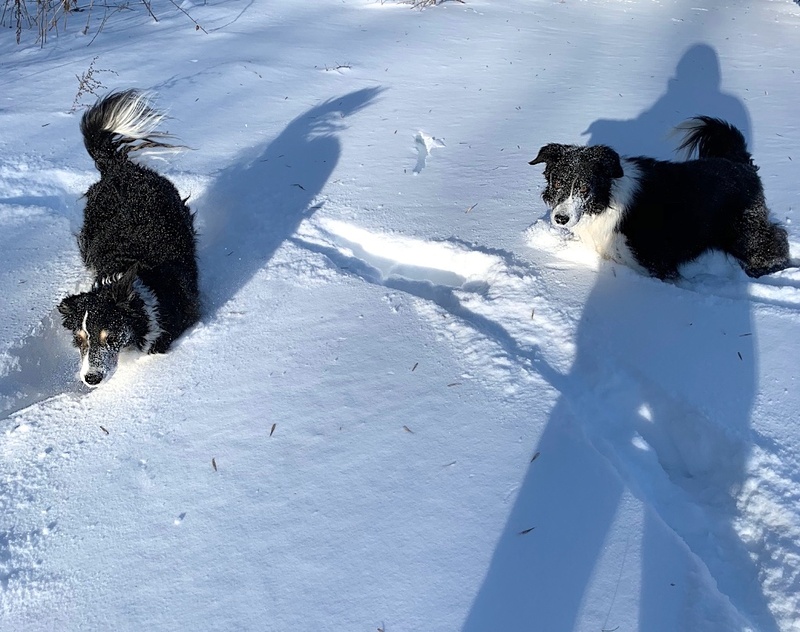 Another winter factor is light – there’s so little of it you’re more likely to be walking your dog in the dark when it’s easy to miss the dog pooping or miss where the poop actually got left. At our park I ask people to pick up in exchange for poops they might have missed over the winter. Few years ago was clearing up my brothers back garden of dog poo before my nieces party party. I set my young niece ahead to hunt the poo which she loved. I always bring at least D + 1 poop bags where D = the number of dogs on the walk. Bringing an extra poop bag is looking out for selfish interest. In a nearby city a beautiful downtown park banned all dogs because of dog poop. And it always amazes me to see dog poop left on the ground in a busy park right next to the poop collection station with free poop bags. WTH? BTW best line ever, “It feels like we are living in a snow globe owned by a drunken sailor.” very very true. Love the idea of a big ole poop fest. Walking the dog area (appx . 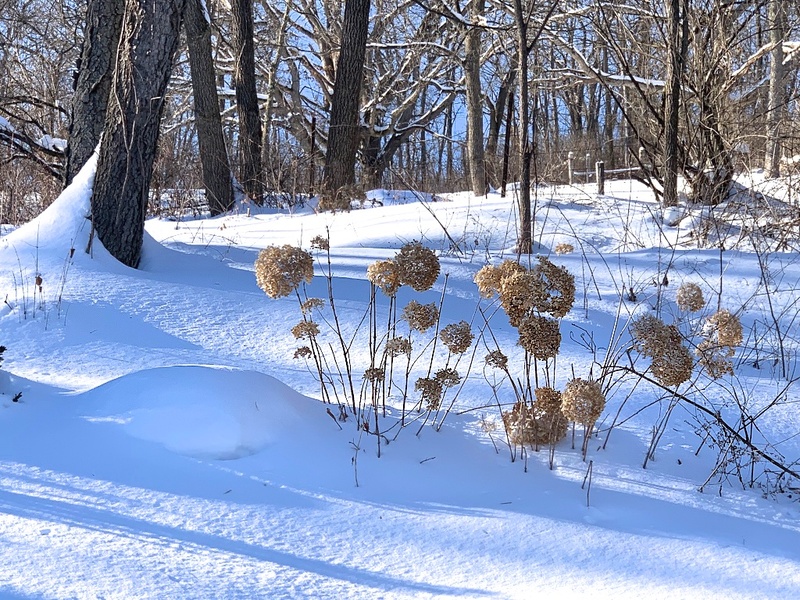 1/4 acre) in our back yard is very much like an Easter egg hunt as the snow clears. I thought it was just me. When I had dogs, I always picked up any poop I found. I had the bags, I was picking up poop anyway, no big deal to pick up more. Now I make sure it’s off the sidewalk, but don’t pick up off the grass. I’m picking up trash when I walk, nowadays, and there’s more than a gracious plenty of that. You are so right! I clean up litter and dog poop on a trail and the trail parking lot. I switched from irritation to loving Mother Earth and serving others. The attitude change serves me ! I call it poop karma. I have a dog that on walks gets exercise induced squirty poo. So… I always bring several bags and pick up my own in addition to poops that have been left. I feel it makes up for any dribblies that I can’t quite get in a bag. Offering prizes for the most poop is a brilliant idea! The area around our animal shelter has developed, and now there are houses and a small walking trail. We can take the dogs out the back and along the trail. I always take at least three bags (some dogs just have to really go when they get the chance) and if there are any left on the way back, I pick up other people’s poop. The volunteers are always diligent about cleaning up, but I know others will blame the shelter dogs. I go to my local dog park early in the morning, and this time of the year if Mr. B. runs off to do his business, sometimes I can’t see where he’s done it. So I pick up what my friends have dubbed ‘karma’ poop. I always pick up all the dog poop I see despite the shocked looks by others walking nearby, but all of my dogs have been enthusiastic poop eaters and why give them or other dogs the opportunity to indulge.. Karma poop?! You made my day! Never heard “poop karma” before, and already there are 2 comments that include it. Definitely adding it to my repertoire! OMG… I need more therapy to get rid of my bad attitude toward dog poop remains (or rather toward the people who leave them). I do understand it happens sometimes, and I certainly get the situations that evoke poop karma behavior….can’t help those incidents! But I’m afraid I can almost tell who the owner is by the evidence left behind (no pun intended) in our neighborhood. You guys are helping though. Very good points on keeping walking spaces open for the dogs and their people to enjoy. Ugh…I need to try. I’d give myself treats for picking up other dog’s poop, but somehow I can’t eat a chocolate after picking up……never mind. Poop and chocolate… reminds me of the chef who honest to god made chocolate mousse for lunch in the shape of dog poop at a seminar I gave and was shocked and disappointed that no one would eat it. Anyone remember that? Was it in Canada? My dogs & I have been cleaning every poop we see on our daily walks for 15 years! Friends & relatives without dogs save their newspaper bags for us to use on our clean-up quest. It was great to read your fun, creative game with it! Now I need to find some one / any one to take me up on playing this game here in our valley….but if every one plays we won’t have anything left for the game 😝 I appreciate your good sense of humor! I too am one of those that is annoyed to see poop and worried they’ll ruin it all for us by having complaints. I also find myself watching as I drive by a person walking a dog who’s pooping. Are they getting out a bag? However, you are right! I need to pick up what was left behind. Unless someone just forgot a bag, they’re not coming back and it won’t pick itself up. It can also attract unwanted rodents, diseases and parasites. 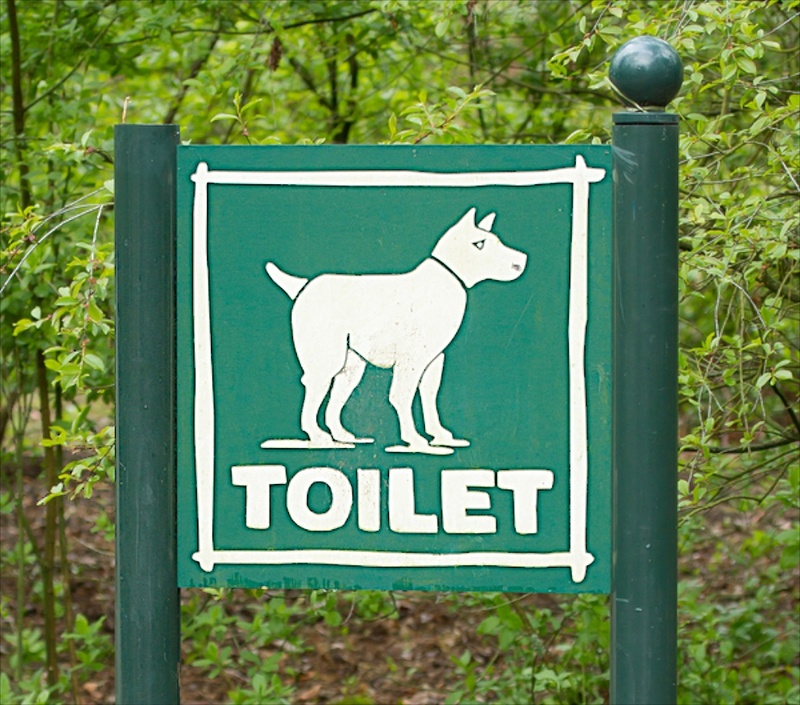 The poop can sit in soil or groundwater for over a year and collect millions of things dangerous to our dogs. I live in Europe precisely in Spain and in the countryside. The others just started to „own“ dogs as a status symbol..never mind the being living inside the expensive to buy fur. So poop drops out of …their conscience. In addition to dog waste bags I’ve started bringing along a grocery bag so that I can carry not only my dogs poop but any I should encounter left behind. ( No 💩 left behind) haha! There are fewer and fewer places open to dogs so it is in my self interest to tidy up. Still annoys the crap (pun intended) out of me when I see someone unclip their dog to do their business then recall them and continue on their merry way. Hey if they didn’t see it, it didn’t happen, right? I don’t blame the dogs it’s not like they get to choose their owners. I enjoy reading your articles and also share some on my Facebook as I want everyone to enjoy them. I hope that’s okay. I love when you said it was “like kids at an Easter egg hunt,” I could just see that when the competitiveness in people comes out. How funny. Oh, this post brought some needed levity this morning! After a year with four different rescues, it seems like every conversation has been about poop — amount, color, consistency, worms, antibiotics, new food!! More than when my kids were toddlers! The picture you paint of the poop collection competition is vivid! Have a great week. I just loved your description of the weather as a snow globe owned by a drunken sailor. Perfect as I look at the very small patches of the left over 6 inches of snow from 4 days ago, while the rain is pouring down. I’ll take snow over mud any day. My friends and I walk at a large off-leash dog park which surprise, surprise has lots a left behind droppings, despite free bags and waste barrels. We use the term poop karma too, for when we are angels and pick up extra. We also have a term “poop parity” for those (rare) occasions that our dogs poop so far away we can’t find it, That invokes the 5 minute rule – if you can’t find it in 5 minutes it’s time to give up. Then you pick up the next poop you see (or the half dozen you find while searching) and you are at parity. Poop parity also applies if we fail to see them ‘go’ by mid walk. We also try to gently encourage good behavior in others even as we grit our teeth in annoyance. If we see someone fail to pick up we ask them “do you need a bag?” while offering them one of our extras. I routinely fill at least 3 bags every day, so generally carry at least 4 and replenish at the bag stations as I go by. My favorite days are right after a nice snow when everything is covered up so I get to just walk! I am always on “poop patrol.” I am the dog walker in the house and mainly walk Zasu around our property of a few acres including wooded areas. I think my neighbor thinks I am crazy for walking around with plastic poop bags at all times in all kinds of weather. I know for sure I would be the one to come in contact with old poop and have to deal with the consequences if I left it lying about. Sometimes you have to move fast to pick it up before it sinks down in the snow and disappears. I am sure to look for any snow sinkers when the ground is clear. Prior to our landscaper coming to do the spring clean up on our property I have done the poop spring clean up of any snow sinkers. Several years ago we used to take our Daisy, who is now in doggie haven, to the beach every afternoon no matter the weather. That is where she liked to poop. She was a stubborn French Bulldog with ideas of her own. Her favorite spot was a climb up a mountain of rocks that line the beach here in Maine. She would get to the top on her long lead and “go”. Then I would have to make that climb to pick it up but I always made it up the slippery, steep hill. If I saw someone at the beach who was inclined not to pick up their dog’s poop I would offer them a bag. I always kept plenty in my pockets. Thankfully I must say those people were few and far between. Daisy’s second favorite poop spot was on my neighbor’s property right near their chicken coop. My neighbor does not pick up dog poop and didn’t mind in the least that I walked Daisy there. Loved your post with all your humor! I do “poop patrol” at our local dog park. 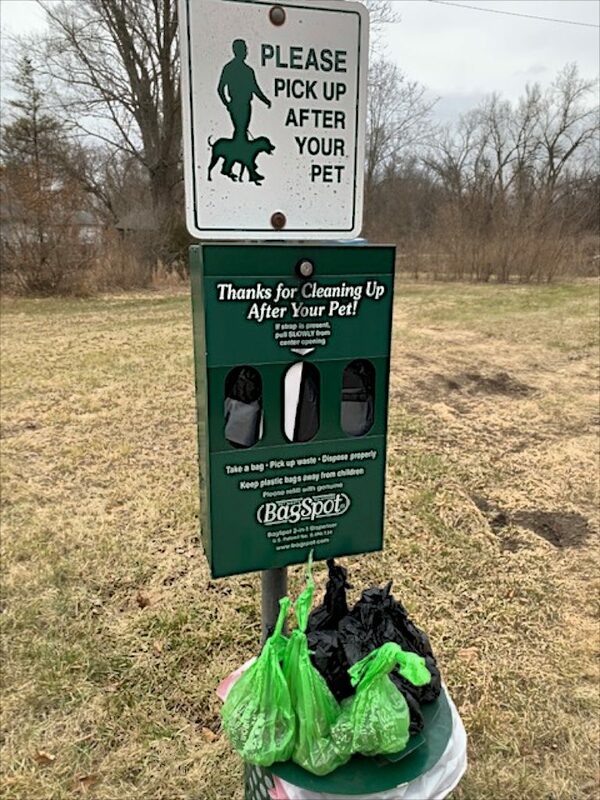 My thought to keep my attitude upbeat is “what you pick up, you and your dog don’t step in!” Have you seen the sign Please pick up after your dog. The poop fairy doesn’t work here. Always makes me smile! After that horridly cold polar vortex (down to -10 here in the mountains of W. PA), where I basically shoved my dogs out the door with the instructions “just go anywhere, I’ll pick it up later,” the latest warm temps have revealed a nightmare in the yard! Spent some time cleaning yesterday, only to have much more appear in the afternoon as the snow continued to melt. I’m not complaining about the warm temps at all! The spring thaw is always scary, but maybe not so bad this year since I’ve “collected” quite a bit of poop now mid-winter. I’ve been trying to pick up n + 1 when my dog poops, especially at our local park. What do you think of the tagline “double doody” 💩💩? I’m was one of those self-righteous neighborhood and trail poop spotters-complainers until one time I ran out of bags after a particularly “fruitful” morning of picking up others as well as mine, and Skye had to drop a second one before leaving the park. On my way to the poop bag station, repeating over and over the location of his pile so I could find it once I had re-supplied my holder, I ran into a friend who was going through a sad life event, began talking and, yep, the next time I thought of Skye’s pile was opening the garage door at my house! I got in my car and drove back. Just sayin’ it can happen to all of us! Now, there are those habitual code (both city & ethical) breakers. One Sunday morning, I had had enough of one of our worse offenders who is a twice-a-day walker (probably doesn’t want to pick it up from his own lawn) and yelled across the park as I watched his dog do his business with no attempt on the owner’s part to pick it up, while he arrogantly glanced at me, held his head high and continued on his way. Something clicked in my mind & I simply pulled out my cell phone and began videoing as I finished my tirade that I wrangle my THREE dogs while picking up each of their poops and I was submitting the video to the city council and our neighborhood ‘NextDoor’ app. He made a quick park exit at the next street he came to and disappeared into the neighborhood. He’s still walking the park and I haven’t witnessed his dog in the “act” yet but suspect, by observing his attitude & no evidence of visable poop bags, he has not reformed. I feel better, however, that he knows he’s being observed & videoed. My friend says others have talked and are pulling out their cell phones when observing other inconsiderate people. And, yes, our small town city council is considering a ban on dog walking in our public parks! Arrgh! Another important reason to pick up poop is that pollutes our waterways. As a Madison resident, both my neighborhood walks and nearby dog parks are very near water. Dog poop–at least in the past-was considered the biggest non-point contributor to certain pollution in our lakes. So–for all the reasons stated in your blog about picking up poop. and the comments above, add water quality to the benefits of careful clean up. Trisha, your story about the chocolate mousse reminded me of a friend who used to do birthday parties at our local shelter. They tried to teach responsible ownership of all different kinds of pets. The parties included a tour, making an animal, and other delights to include a relay race where you had to pick up unwrapped tootsie rolls with your bags and race to the end. Wrapped tootsie roll pops were given out at the end, and I’m sure the kids immediately opened them to eat and gross each other out. I have observed an interesting phenomenon of the person who picks up the poop, then drops the plastic bag on the ground and walks away. The bag might be left in the gutter or on someone’s lawn. Do they think there is a “Poo Fairy” who will come by and collect the bag? While some might come back later to pick up the bag to dispose of it, others are clearly abandoned. Thank you for the positive take on poop. I have 3 dogs so am used to multiple use bags anyway whether mine or another dog’s. I figure – as you say- any poop on the ground makes all dog owners look bad! Plus self interest works here too…the pristine white bichpoo loves to find a big pile of poo and completely cover himself!! I think you will find it resonates. Here in western Oregon, we are in severe drought. It is overcast but not raining. Fire season will be no fun at all. Although I am one of the few who lives here in the 1/4 of the country that has miraculously escaped the Arctic vortex, I still remember well the days of having to scoop up after 14 Siberian Huskies housed in six 12′ x 60′ kennels. 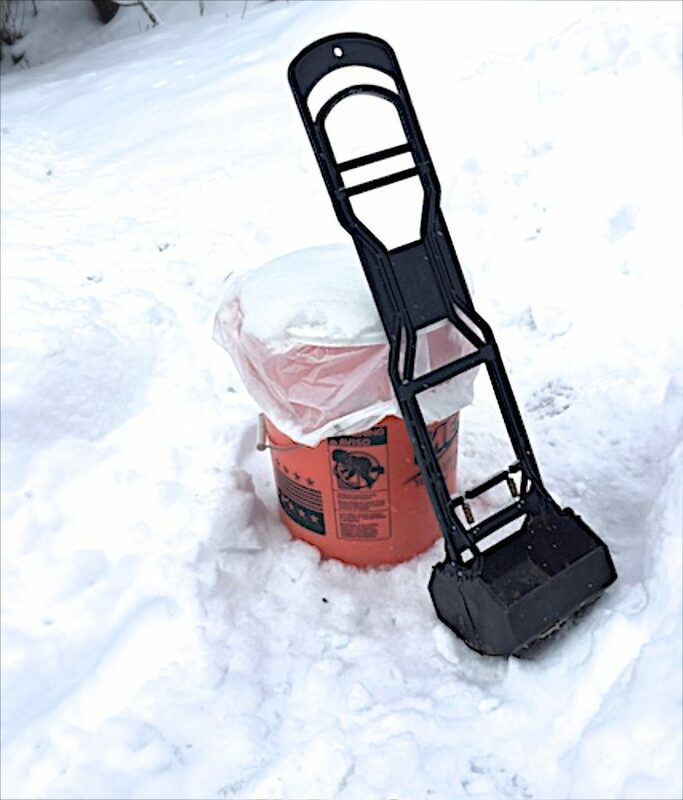 There were many days when I was so glad I had the extra Heavy Duty 2 piece scoop and shovel set because everything that had been dropped during the night had iced over by the next day. One piece of wisdom to share from those years of experience —- when chipping poop up out of the ice with the side of the “scrape” tool, smile — but be sure to close your mouth. I’ve been cleaning up after other people’s dogs for *years* now, and can always feel my halo shining. I do mutter quite a bit. One unexpected perk of finally succumbing to the ubiquitous cell-phone madness is that I always have a flashlight available, and can find my dogs’ poop at night, even in deep leaves. I tend to be a late-night dogwalker, and sometimes I would have to ask people to turn their porch lights on because I had lost poop on their lawns. I’ve rung doorbells to ask for bags if I ran out, too. I finally just started keeping rolls of bags in both my jackets, my training bag, and the tiny fanny pack I use in the summer for my keys and phone. Wonderful post! Yes I have started picking up other dogs’ poo, especially on our pavements and in our local fields. For all the reasons you and your commenters articulate so well. The “leavers” let the whole community down… and after all I walking round with the kit… BTW I have found a dog poo composter online. Now just trying to persuade my husband what a good idea that would be! Just this morning my husband was trying to collect A Sample from Dog#1, who has a vet visit tomorrow…but Dog#2 ate it as soon as she produced it. We are going back on the meat tenderizer as soon as we find it in the kitchen! Ah, one of my favorite subjects! What a great idea to turn it into a game! Digging deeper – what does one do with the scooped poop? There’s no general consensus. I checked with Boise public works department on this subject and was disappointed that they recommend the standard bagging and sending to the landfill. Salt Lake City recommends flushing (poop only, NOT bag): https://cfpub.epa.gov/npstbx/files/slc_petwaste.pdf. The only consensus: get it off the ground and out of natural water systems. A pat on the back for all who “do”! We have a similar term to “poop karma” at our local park where we encourage others to collect a “poo in lieu”. The snow globe analogy is apt, down under we are as usual experiencing the extreme opposite to you in the polar freeze zone. We have been in heatwave conditions of over 40°C (Over 110°F) where it is too hot to walk the dog, ever after dark the temperatures have been staying high. Thankfully Kona (toy poodle) loves loves loves water and so a baby bath on the balcony works for entertainment and exercise! Our lovely little coastal city of Belfast, Maine, had a problem in our parks and streets with winter dog poop. Following the lead of Maine’s largest city (Portland), about 12 years ago Friends of Belfast Parks began a spring pick-up on or close to April 1 and called it April Stool’s Day. The first year we picked up over 900 “incidents.” We also produced a public service announcement made possible by a local band who wrote a song and produced a video for the psa.We hid a ceramic, gold-colored fake poop and the person who found that got a dog-related prize (leash, treats or some other useful product). The number of incidents gradually decreased, particularly after the Friends organization raised funds for and built a dog park. We also printed a rack card about the reasons one should pick up, including the fact that picking up is required by city ordinance.This is available in our City Hall where dog licenses are purchased.After about eight years of April Stool’s Days when the count decreased to 150 we decided to discontinue the event and just try to set good examples by always picking up, having extra bags to give to someone not picking up and distibuting the rack cards.The city Parks and Rec Department maintains a number of poop bag dispensers in key places in our parks and trails. The problem has not disappeared completely of course but we continue to advocate for this aspect of responsible dog ownership. I love this post! After living in a gated community with no fences permitted, my dog got used to going for leash walks to do his business. While he will pee on our 3-acre property, he won’t poop, so we go walking for that. We live in a small neighborhood out in the county where people don’t pick up after their dogs; I pick up my dog’s plus any we find on our walks because 1) Lewis (my dog) points them out to me (mom, who left that pootie? !”), and 2) I don’t want to step in it while I’m cleaning up HIS, I’ve been calling this our “pootie patrol.” I know which of my neighbors NEVER pick up because I’ve seen them. I like to have both hands free for whatever we encounter on our walks, so I make it a point to pick up the poop, carry it along until I’m in front of an inconsiderate neighbor’s house, & leave it in the driveway until I can pick it up on our way back home. I also volunteer at the local Humane Society and walk the dogs off-site along a dirt road that borders private property. I get that some people are squeamish about picking up the poop, but continued access to the dirt road for our walks is so important to the dogs that I often make one last walk without a dog to make sure I didn’t miss any. We have a dog-friendly “Walk Along the River” event coming up. I’m not taking Lewis (too stressful for him to be around so many dogs), but I’ll be there handing out poop bags!! What does everyone think about dog poop in the woods during hikes? My dog will go deep in the woods to poop sometimes and I wonder if I have to go after it. On the one hand, I feel I should but on the other hand there are deer and raccoons and squirrel and birds and bears who are pooping in the woods so it seems silly to pick up the one poop, use a plastic bag for it and dump it in the garbage where it will go to a landfill. When I lived in the city and would take my dog to Central Park, which has off leash hours in the morning, I would get furious when I saw poop that was not picked up. I would, of course, pick it up. What I tried to remind myself was that if you think about all the hundreds of people walking hundreds of dogs and you find one or two on a walk, that’s pretty good compliance. But it’s that one un-picked-up poops that will cause people to complain so it’s good for the cause to pick it up yourself. But I would bet that probably 95% of dog owners pick up, it’s just that 5% that smells to high heaven. I love your attitude about picking up poop. Ultimately you are right. I love the idea of a clean up contest. Last year there was a survey about cleaning up dog poop and suggestions for keeping the county nice. If they do that again I’ll have to recommend your idea! I’m in MD too so same bizarre weather here. One day I wouldn’t let Chloe in the garage without her bathrobe (she’s hairless) the next I can take her outside in her new raincoat. Ah, well, I just hope the cold killed off some bugs. I never leave the house without some poop bags! It also happened that I offered them to joggers who sneaked out of the woods! We’re dying to know how many pounds of poop the winner collected! I use a power wheelchair and feel really bad if my dog poops while out walking (he goes at home before going out for a walk). I carry bags with me just in case someone is nearby and can pick up for me. Good on you all for picking up other dog’s poohs as there’s nothing much worse than running over dog pooh and getting it stuck on my tyres! I have taught my dog to pick up rubbish which makes me feel better and we’re doing our small part to make our street a bit cleaner.